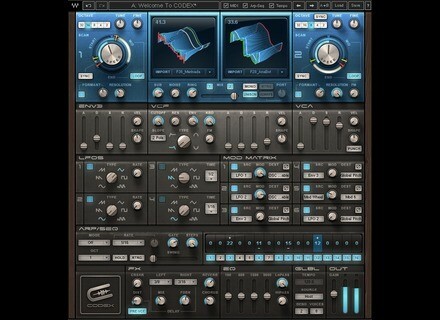 Codex, Virtual wavetable synth from Waves. Codex, Waves’ new virtual instrument, combines traditional subtractive and wavetable synthesis in a standalone and plug-in for Mac and PC. 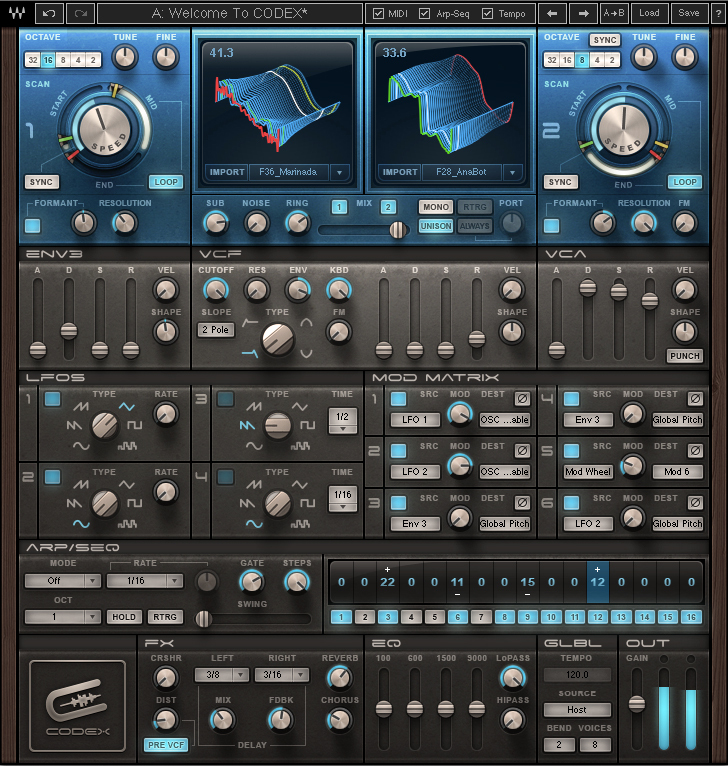 Codex is based on a granular wavetable engine and is powered by the Waves’ Virtual Voltage technology. It can create a wide variety of sounds ranging from warm acoustic and analog emulations to original evolving textures. Codex is available in Native plug-in and standalone formats for Mac OS X and Windows 64-bit. It has an introductory price of $99 instead of $200 and you can download a trial version from www.waves.com. Friday’s Freeware: o-clip Clipping can be a hassle but sometimes you can’t get it when you need it. In case of emergency, go to Doctor Audiod3ck. Universal Sordino mutes your string instruments Numerical Sound released an add-on for string sample libraries that will add a sordino (mute) effect to the instruments. The KR-Imager STR in 64-bit and AAX formats KResearch has updated its KR-Imager STR stereo enhancer so you can use it with the latest DAWs.